A vision of ‘Bespoke Practitioners’ is to promote good life outcomes for children who, due to social and family circumstances are placed at risk, therefore their opportunities are often affected, impacting on their ability to achieve a good education, as well reducing the development of good social and health outcomes. Therefore, the development of a consultancy approach by Bespoke Practitioners was developed, fundamentally aiming to support parents and professionals, as well as to underpin school pastoral practices, empowering and embedding their current pastoral care programmes through increased training development and supervision – aiming to strengthen the support of children and families to enhance the child’s social, health and educational needs. A theoretical and application based approach aims to promote positive outcomes for children and families; this is delivered through consultation with a range of professionals alongside direct child and family work on behalf of the school, alongside a designated health, social care or school lead. The existing strengths within families are recognised, acknowledged and enhanced through the application of a strengths-based approach, working towards long term positive outcomes with increased psychological, environmental and social resilience for supported families. Bespoke Practitioners also offer counselling and emotional well-being for professionals, including teachers, health & social care, businesses and more. Please click on the links below to find out more about each service. Bespoke Practitioners work with schools and professionals to support children identified as needing further support after referral to the service. Solution-Focused Practice sees the practitioner seeking to support the child, young person or parent to move towards a solution. This approach differs from the many approaches that focus on moving away from the problem; it focuses on the person being the expert in their own life, thus identifying what is needed to progress towards the solution. This approach is particularly useful when the person is ‘stuck’ and feels that there is no way forward, it is proven highly effective in ‘difficult to change’ circumstances. 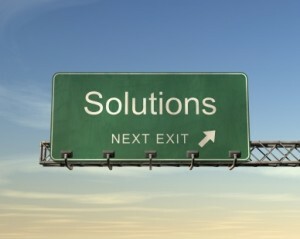 Solution Focused Practice can be used in a planned series of sessions with the client, or in less structured formats. 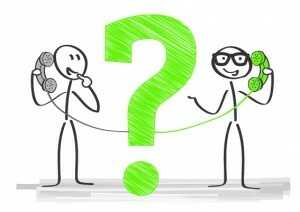 Therefore, it is highly adaptive to various settings; it can also be used in supervision and to support professionals. With this in mind, it is an advantageous approach for professionals, families and children alike. The principles of the Massage in School Programme (MISP), acknowledge the sensory and attachment needs of children and families, to support healthy development and children’s wellbeing. Consultants are Highly Qualified Registered Instructors of MISP and aim to work with Schools, Parents and Children. The purpose is to support self-regulation and co-regulation through meeting sensory needs, teaching children and adults about self-esteem, permission and keeping the child ‘in mind’. Bespoke Practitioners provides parents and educators with sensory skills to support children with sensory needs, specifically due to sensory attachment needs. The approach is to teach regulation skills for home and school to find a pattern that benefits the behavioural profile of the individual child. There is increasing identification of children’s sensory needs, with an increase in recognition of Sensory Processing Disorders (SPD). 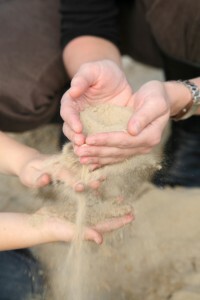 There is a clear link between the attachment that a child forms with their caregivers and the sensory processing system, therefore, support is aimed at identifying the child’s physiological and emotional needs by supporting parents to bond with their child and the child forming a good attachment with the parent, whilst supporting schools to regulate a child in a preventative and nurturing approach. Practitioners are experienced to support families who have children with additional needs, as well as looked after children and adopted children who may require additional support to form attachments and have differing sensory needs to form healthy relationships with others and their environment. The aim of the service is to link in with ‘The Nurturing Parent’ programmes, providing parents [and educators] with the skills and education to best support the child. It is important as the child grows that a parent is able to co-regulate the child, and that the child learns the skills to self-regulate as they transition through life and the events this brings. Please also see the Just Right State © – a programmes focused on regulation or arousal states and then the modulation of the body senses through the Just Right State combination of regulating experiences. The ‘Bespoke Practitioners’ approach to working with children incorporates Therapeutic Play as a media to support children through communication via image and metaphor, this is an enhancement of sensory play. This is proven successful with children that are ‘hard to reach’. Direct sessions with children in schools have been funded through PEPs, Pupil Premium, SEN Funding etc, please contact to discuss further. Bespoke Practitioners also apply the media of using therapeutic arts to enable practitioners to support clients to gain an insight and provide an emotional landscape to see into the person’s world. 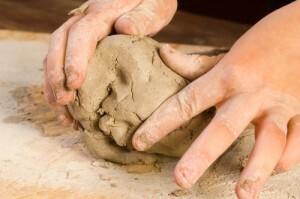 These include – Art, Drama and Puppetry, Sculpture and Clay, Poetry, Sandplay, Music and Dance/Movement. Research evidences that children develop through tasting, touching, seeing, hearing, smelling, experiencing; also by watching and copying people close to them and playing. This is how language and behaviour are developed. These approaches provide a deeper level of assessment of need and attuned approaches to identifying support needs and developing care plans. Child’s developmental needs are acknowledged, and further direction on how to best support the child can be given. All Practitioners are professionally qualified with further training in neuro-science, brain development and attachment theory alongside many other psychological, physiological and sociological approaches to supporting people. Bespoke Practitioners have experience working with parents, children, Paediatricians, Health Care Professionals, Social Workers, Education Settings alongside many other agencies. Training sessions could be tailored to your organisations needs to give an insight into using creative approaches in assessments. The Just Right State (JRS) refers to the capacity to achieve and maintain self-regulation. The JRS programme looks at the use of sensory activities and foods, to help children learn how to self-regulate their emotional states and behaviour. The programme supports professionals and parents to provide an enriched environment to facilitate successful parent-child / professional-child engagement -with the capacity to self-regulate and co-regulate. “The Just Right State programme is based on the principle that when sensory-based experiences are incorporated into daily life routines it enhance the capacity of the child to remain regulated when engaged in activities that are normally challenging. This in turn allows higher level of functioning to occur, such as, social engagement and academic performance” Eadaoin Breathnach (2016). This approach is unique in its ability to enable the parent, child and professionals to begin to make the links between sensory and emotional processing. Supporting the development of these skills and abilities in children, alongside their parents, can have a profound and positive impact on the long-term outcomes for the child, the whole family and the education setting. During the programmes run by Bespoke Practitioners, parents and professionals will learn the development and attachment principles that are behind the taught activities. The child’s behavioural difficulties and the goals will form the profile alongside the child completing the Children’s Programme. The goal of the Children’s Programme is for them to become more emotionally aware of themselves and others, whilst giving them the tools to support self-regulation – achieving the Just Right State. The Intensive Wrap-Around Service (IWAS) provides a consultation and assessment service to identify the needs of families who may require additional support. This is a service that employs highly skilled professionals with a vast amount of experience in supporting families, the service aims to assess and support families to identify better outcomes. A vision of ‘Bespoke Practitioners’ is to promote good life outcomes for children who, due to social and family circumstances are placed at risk, therefore their opportunities are often affected, impacting on their ability to achieve a good education, as well reducing the development of good social and health outcomes. Therefore, the development of a consultancy approach by Bespoke Practitioners was developed, fundamentally aiming to support and underpin school pastoral practices, empowering and embedding their current pastoral care programmes through increased training development and supervision – thus, strengthening the support of children and families to enhance the child’s social, health and educational needs. A theoretical and application based approach aims to promote positive outcomes for children and families; this is delivered through consultation alongside direct child and family work on behalf of the school, alongside a designated school lead. • And to provide bespoke training and consultation for education professionals to inform their decision-making and facilitate appropriate support provided to children within educational settings, acknowledging the shared responsibility to safeguard. The wellbeing and safety of children is a responsibility to be shared by parents, extended family, schools, community, local authorities, non-governmental organisations and businesses. Therefore, Bespoke Practitioners will work in partnership with children and families in a voluntary (non-statutory) relationship, respecting the right of each family to participate fully in all aspects of service delivery; and function using positive partnership principles. “Our aim is to support and develop appropriate and achievable processes that underpin project aims and objectives within the framework of charities and organisations”. A successful project is one where all people are positively engaging with the processes – this is achieved by everyone understanding their part in the whole. We believe that ‘one size does not fit all’, therefore training delivered is Bespoke, we understand the need to understand the clients vision first, then develop a training package that helps bring the vision into focus and fulfilment empowering those who are responsible for the various aspects of it. We provide an independent insight for charities and organisations to engage with, creating a range of bespoke training to support developmental project needs. Examples include: How to prepare Risk Assessments, home and abroad – thinking beyond the obvious. Cultural Diversity training and Communication, what do you think is understood v what is understood what cultural idiosyncrasies have to be considered? Report writing, planning what evidence will be needed in advance, methods of gathering information – report writing can be a hard task if done retrospectively. Our counselling service – employing highly trained assessment and counselling practitioners, who can support professionals, inclusive of Health Care professionals, Teachers and Education Support Staff in those difficult times. We understand the pressures of an ever-changing work environment and the demand of everyday life. Bespoke Practitioners counselling programmes are designed for professionals, with the knowledge that one’s emotional well-being is central to one’s ability to be effective in employment; and the direct impact that the job can have on both your personal and professional life. Our assessment and counselling professionals have worked in a range of health / educational settings. Teaching, Social Work, Health Care, Business Arenas and many other professions demand a lot and can lead to high levels of stress and emotional burn-out, so counselling is highly recommended, especially when life throws challenges. Our counselling service employs highly trained assessment and counselling practitioners, who can support adults in challenging times. The benefits of counselling include the provision of a safe space and opportunities enabling difficult emotions to be expressed in words within a confidential environment. Bespoke Practitioners offers face to face counselling sessions and the option of Walk and Talk therapies with a BACP (British Association Counselling Psychotherapists) registered Practitioner. The initial assessment session will identify the approach that is centred in personal requirements. Sessions can be booked directly or commissioned by an employer. Please contact to discuss your requirements. Counselling sessions run from our North Essex venue*. This is a comprehensive assessment which includes standardised testing of underlying ability (IQ), cognitive skills and attainments in literacy. 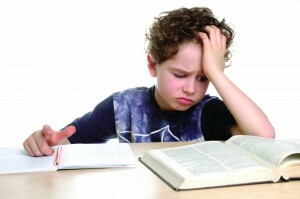 An in-depth analysis of test results is provided and detailed recommendations are made regarding the child’s learning. A diagnostic judgement is made about the presence of Dyslexia, and if appropriate, other co-existing specific learning difficulties. • The gathering of background information as appropriate (and with the permission of parents/carers). This family and the school are required to complete pre-assessment questionnaires. This process may also include the reading of reports from other agencies, where parents have provided copies. • The assessment session – which usually takes 2 ½ to 3 hours. For younger students, or in exceptional circumstances, the assessment may be split into two shorter sessions. The assessment would take place in my home, although on occasions, it may be appropriate to conduct the session at the Bespoke Centre. Home-schooling is on the increase and there are many valid reasons to choose home-schooling as your family’s preferred education. There are many varied reasons why you may choose home-schooling as an option. 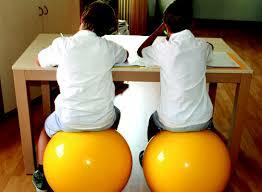 At Bespoke Practitioners, we are highly experienced in working with children and addressing broader educational needs. We take a holistic approach to working with families and run regular sessions for home-schoolers, taking a child-focused approach to learning, through play, nurture and educational activities. We offer Primary- Aged individual and group sessions, for children to participate in social activities and hands on learning tasks. We have family group sessions also available in outdoor learning, forest school and crafts. Please look at the other aspects of our services to give an insight into the holistic support available.